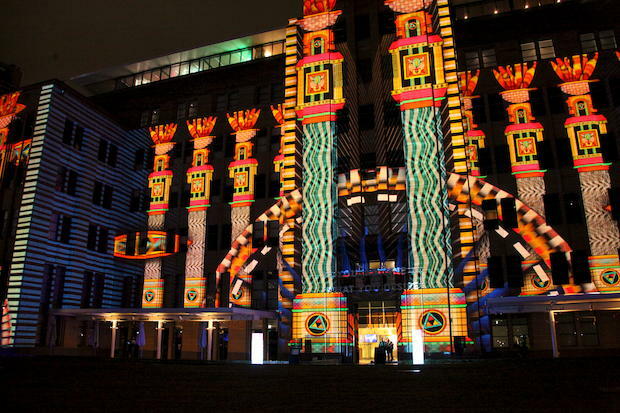 Vivid is an annual event in Sydney where light and art come together to create some spectacular images. In 2019 the Festival is running from Friday 24th May to Saturday 15th June. The lights are turned on at 6pm across the Harbour and City and stay on until 11.00pm, so there is plenty of time to enjoy the spectacle! 2019 promises to be a great year! The Botanic Gardens and Taronga Zoo will both be lit again (you need to pre book Taronga!) 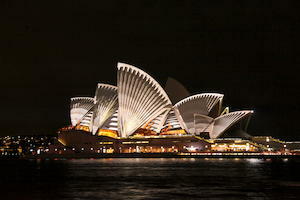 as well as all around Circular Quay the Bridge and of course the sails of the Opera House. In Darling Harbour there will be the water music and light display every evening and at Barangaroo there will be a light walk around the new towers. With 2.1million visitors last year, catching a private cruise in a water taxi is a chance to escape the crowds! 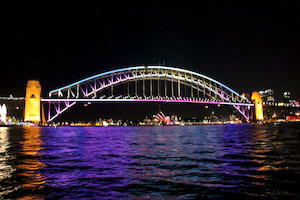 ½ Hour Vivid Lights Cruise, takes in the lights of the Harbour Bridge Opera House, Museum of Contemporary Arts and the other lights of Circular Quay. This is a magical way to see this spectacular display and grab some great photos!Cost is $220 for the private hire of a boat for up to 20 people That's only $11pp for you and your friends/family! 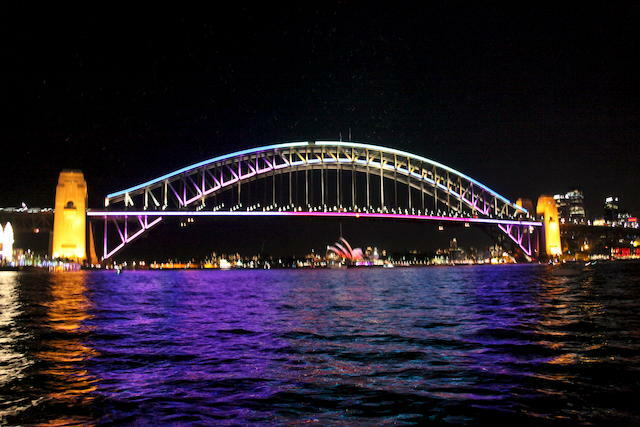 1 Hour Vivid Harbour Cruise – This gives you the chance to spend more time exploring the harbour lights, in particular the spectacular lights of the Harbour Bridge and Opera House and you can decide where else you want to see! Cost is $385 for up to 20 people, for the hour. That's only $19.25pp for your whole group! These prices are for Central Harbour pick-ups around Darling Harbour, Circular Quay, Milson's Point and Kirribilli. 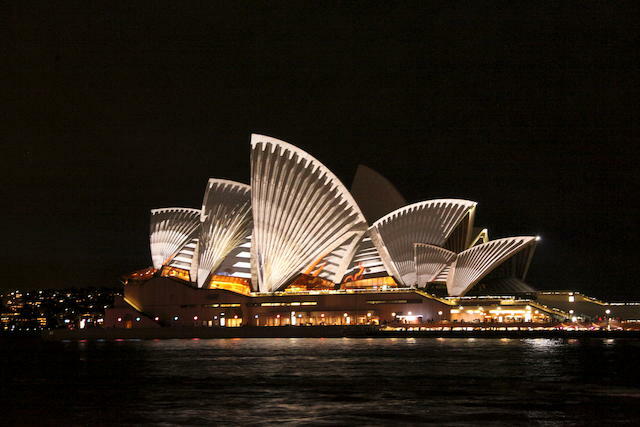 We also offer great rates for your group from Watsons Bay, Rose Bay, Double Bay, Mosman, Longueville and other areas, so you can avoid the traffic of central Sydney! You are welcome to bring your own drinks and snacks on the boat for the cruise, but we do ask you take your empties with you.